As pet owners and people who are dedicated to the care of animals, the staff at Greystone Pet Hospital truly understand how important your pet is to you: your pet is a special and unique member of your family. This is why we strive to provide comprehensive care specifically designed to meet the particular needs of your pets. As professionals focused on the care of animals, we know that the foundation of your pet's health is the thorough practice of preventative care. We recommend that your pet receives a physical exam at least once a year, though more frequent exams are encouraged. Regular physical exams are just as important for your pet as they are for you. Exams give a complete picture of your pet's health and are useful in detecting diseases and other health problems in the early stages - before they become more difficult, and more expensive, to treat. When it comes to your pet's health care, prevention is the key. 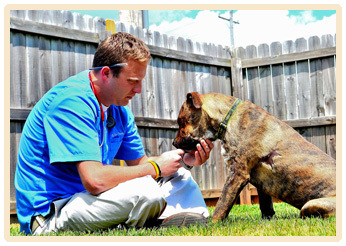 Our veterinarians perform a complete examination of your pet. They listen to your pet's heart and lungs, evaluate his or her vision, check for unusual lumps, look at your pet's teeth and oral cavity and check your pet's joints for swelling or stiffness. They may also perform routine blood and urine tests as well as tests for internal or external parasites. During the exam, the veterinarians also discuss home health care options for your pet, and are more than happy to answer any questions you may have. Unfortunately, despite the most aggressive preventative treatment, your pet may yet experience a periodic illness or injury. The skill and extensive education of the doctors at Greystone Pet Hospital allow us to effectively manage complex medical and surgical challenges. Your pet is able to receive care from people he or she knows, in a comfortable and familiar setting.